IRVINE, Calif. (KABC) -- Officers with the Irvine Police Department's Animal Services Unit are using paintballs to discourage coyotes from entering residential areas following several recent attacks. Thursday night, officers armed with paintball guns patrolled the Portola Springs neighborhood. The guns shoot bright yellow paintballs that sting the animals without causing them any permanent damage. The practice, which is known as "fear conditioning," is recognized by the California Department of Fish and Wildlife, say Irvine police. 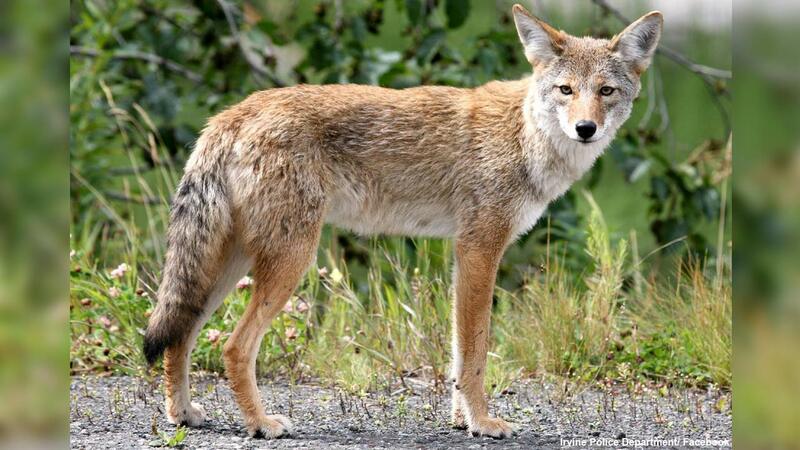 Animal Services officials say it's a better alternative to trapping and killing the coyotes. However, officials emphasized that the personal use of paintball guns on coyotes by residents is prohibited by law. Authorities also warned residents to make sure not to leave food or table scraps out for coyotes or any other wild animals. Residents were also advised to bring pets inside at night and make sure their garbage bins are securely closed. There have been four coyote attacks since May. Three of those were on children. If you have questions or would like to report a coyote sighting, you can contact the Irvine Police Department's Animal Services Unit at (949) 724-7000.